Our Mesh Laundry Bag is an absolute must have item for recruits, particularly the incoming Airmen. 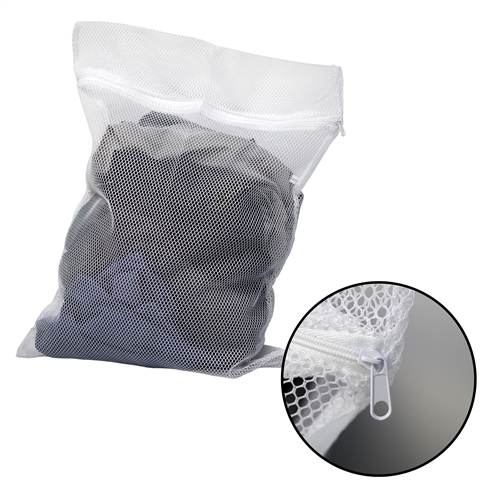 Made of 100% polyester mesh, our bag features a nylon zipper closure at the top. Keeps contents secured, whether in the barracks or delivering to the laundry. This is a great wet article bag for all purposes. Measures 22" X 16". White.